It’s that time of year again, and we couldn’t be more excited for the Super Bowl! 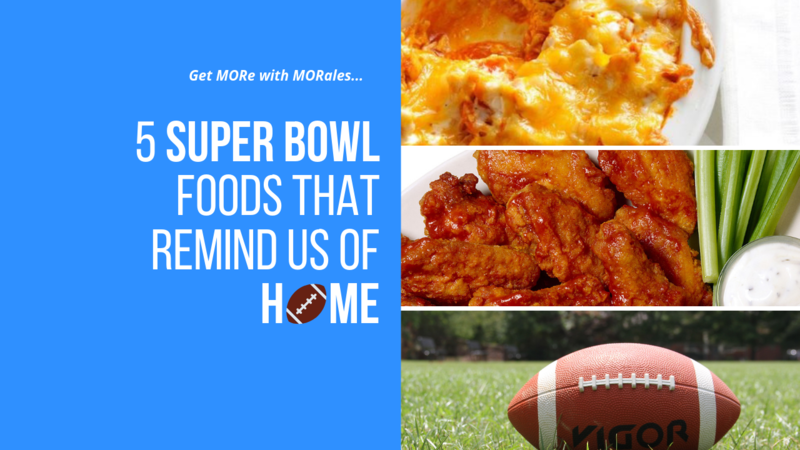 Whether you watch for the game itself, the ads, the halftime show, or just like the beer and food, there’s something for just about everyone to enjoy! Spread cream cheese on bottom of casserole dish. Pour chili over onions and cream cheese. Conventional oven: bake at 350 until cheese is bubbling but not brown, about 10 minutes. Microwave oven: heat on high for 2 minutes or until cheese is melted. Serve warm with tortilla chips or corn chips. Spread cream cheese into an ungreased shallow 1-qt. baking dish. Layer with chicken, wing sauce and salad dressing. Bake, uncovered, 20-25 minutes or until cheese is melted. Serve with baguette, celery, chips, or other dippers. Combine the grape jelly and BBQ sauce in a small bowl or in the base of your slow cooker. Add meatballs and stir until they are coated with the sauce. Cook on high for 2 to 3 hours. Heat a large stock pot over medium-high heat. Crumble the ground chuck and sausage into the hot pan, and cook until evenly browned. Pour in the chili beans, spicy chili beans, diced tomatoes and tomato paste. Add the onion, celery, green and red bell peppers, chile peppers, bacon bits, bouillon, and beer. Season with chili powder, worcestershire sauce, garlic, oregano, cumin, hot pepper sauce, basil, salt, pepper, cayenne, paprika, and sugar. Stir to blend, then cover and simmer over low heat for at least 2 hours, stirring occasionally. After 2 hours, taste, and adjust salt, pepper, and chili powder if necessary. The longer the chili simmers, the better it will taste. Remove from heat and serve, or refrigerate, and serve the next day. Ladle into bowls, and top with corn chips and shredded Cheddar cheese. You can also eat with cooked pasta or oyster crackers.